Recognizing the speed at which the technology industry was evolving and disappointed by the lack of top-notch help available to those in need of business solutions and assistance, partners Said Rafi and Daniel Alvarez opened Creative Business Solutions in 2002. With an eye toward offering companies a one-stop destination for the computer peripherals vital to the daily operation and ongoing success of their businesses, Rafi and Alvarez quickly became one of the region’s top providers of hardware, servers, storage products, networking solutions and constrained options. From its initial 6,000 sq. ft. location on Long Island, Creative Business Solutions provided clients with first-rate service, quality guaranteed stock and a level of expertise rarely found with a single consultant. Adhering to the company slogan, "Timely. Optimal. Efficient.," CBS delivered relevant technological solutions that provided practical applications and effective solutions for a variety of business needs. As business boomed, Rafi and Alvarez recognized the need to expand in order to continue providing clients with the same high levels of expertise and service they had come to expect from CBS. In 2008 the company moved its new 60,000 sq. ft. location in Plainview, NY. In March of that same year CBS became an authorized Hewlett Packard Enterprise Renew distributor, and began concentrating on the distribution of quality, certified HPE components and peripherals. 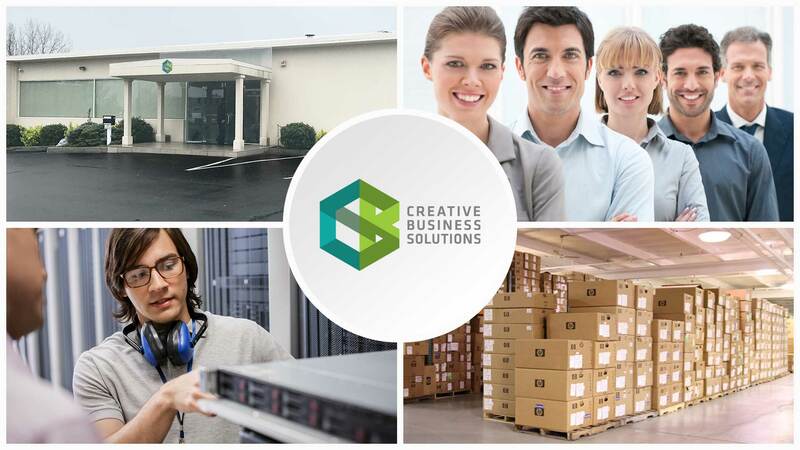 Creative Business Solutions is the largest HPE Renew stocking distributor and has the distinction of being recognized by Hewlett Packard Enterprise as a top-ranking HPE Renew distributor. By implementing a highly efficient automated inventory system, CBS is able to track every single piece of equipment entering and leaving its facility for unparalleled quality control. Acknowledging that the needs of no two businesses are alike, CBS technicians build and assemble products based on client specifications. It is this dedication to quality and service that continues to steer the success of CBS. To learn how your business can benefit from the knowledge and service of Creative Business Solutions we invite you to Contact Us today. A member of our team will contact you to learn about your needs and provide you with recommendations for staying out in front of the technology evolution.